Are you getting ready for Hank's birthday? Yes, there are only three shopping days before what would have been Hank Williams' 93rd birthday. In a world that hadn't gone insane, this would be a national holiday. Hank's songs are beloved by all true Americans. 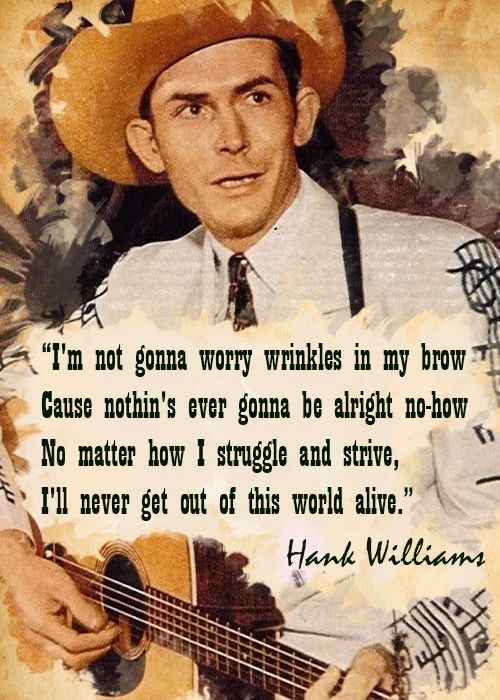 But even though we claim him as our own, love for Hank Williams does not stop at our borders. Truly, he belongs to the world as the following videos will attest. Yes, they have Hank in Thailand. Apparently they also have chipmunks. Here's a band called Pairote. In Brazil, The Fabulous Bandits see the Light! Brace yourself, Bridget, here's a Tuvan band called Ya-Kha doing "Ramblin' Man." And back to "Jambalya" with a Jakartan hip-hop take on Hank's faux Cajun classic.